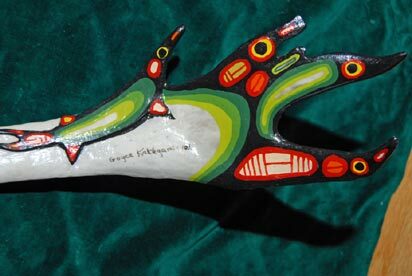 Description: Elk Antler Art signed and dated Goyce Kakegamic '06. 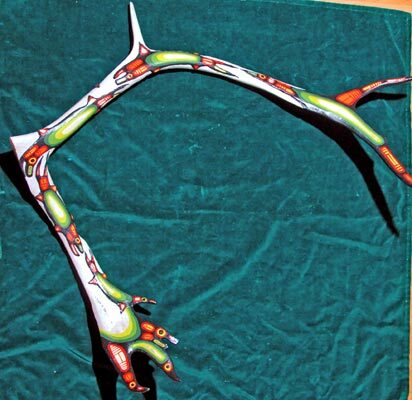 This 30"x25" solid elk antler was first carved into bone to give it a raised 3D look then painted in acrylic on bone and covered in clear varnish to protect it. Great as wall art or sitting on a cabinet shelf. Very unique.